How to rotate a curve in Draw.io? Naturally, I could manually move every vertex, but I would prefer to have options to flip/rotate it as a whole. I tried grabbing the curve with Ctrl, or Alt, or Shift, hoping that it would change from "move object mode" to "rotate object mode" but it does not work that way. Not the answer you're looking for? Browse other questions tagged draw.io or ask your own question. How can I share a Draw.io doc? How to change grid density in Draw.io? How do I add a curve or arc to a diagram on draw.io? How do I reposition draw.io swimlanes? 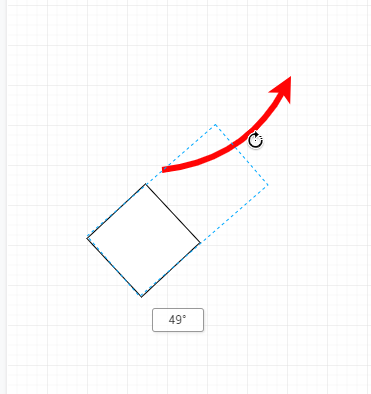 How can I rotate multiple objects at a time on Draw.io (relative, not absolute rotation)?